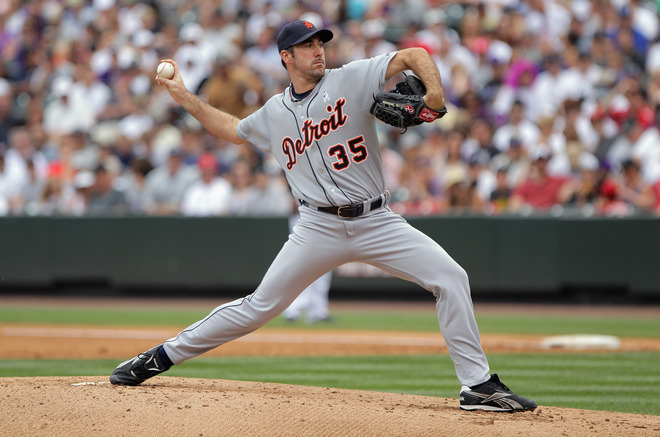 – Detroit Tigers Starting Pitcher Justin Verlander (24-5, 2.40 ERA, 250 strikeouts) becomes only the 9th pitcher in MLB history, and first since 1986, to win the MVP award. This is actually quite the feat for Justin Verlander, because not a lot of people thought he should be eligible to win, let alone actually win the MVP this year. I am one of those same doubters. Justin had an unbelievable season, and was a huge reason why the Detroit Tigers made it as far as they did. I am not doubting his talent or taking away the prestige of this honour. My beef is this. I personally don’t believe that a pitcher, starting or a closer, should be able to win MVP. Pitchers have the Cy Young award, which recognizes the best pitcher in each league. Pitchers are an integral part of the game, and that is why they have their own award. There isn’t a trophy for best first-baseman or best catcher. Starting Pitchers only play 20-25% of the entire season anyways. Verlander is a great pitcher, and that is why he won the Cy Young in the American League. So why does he need MVP as well? Players that played 90-100% of the year, like a Jose Bautista, Miguel Cabrera and a Jocoby Ellesbury should be the ones winning MVP awards, not Verlander. Was he really so good a pitcher, that his skills at his position outshined all hitters in the American League? I don’t think so. Kudos to Justin Verlander for winning the award though. I just don’t think he should have been able to win it. – Pittsburgh Penguin Sidney Crosby finally returned to action last night after missing 10 months due to a concussion and concussion-like symptoms. 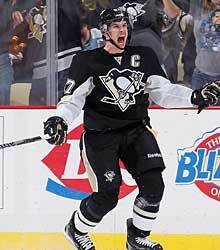 Crosby scored 2 goals and assisted 2 others, leading the Penguins to a 5-0 win over the New York Islanders. I am never the one to slurp a professional athlete, especially a hockey player. I always find it hard to find one player in a league who is so great at what he does, that he stands out above all the rest. I don’t like to bandwagon, show favoritism, or encourage anyones hype. However, in this case, I am finding it hard not to. The best player in all of hockey has finally returned, and I couldn’t be happier. Was that an amazing comeback game or what? 2 goals and 2 assists in your first game back in practically a year? You could not have written up a better story than what we got in last nights game between the Penguins and Islanders. Sidney Crosby is the face of the Penguins, as well as the entire NHL. You could even make the case that he is also the face of all Canadian hockey. His return was made to be a huge deal, as well it should have. Now the question is how well Sidney can hold up for the rest of the season. Will opposing players be out for blood when Crosby is on the ice? Will players be going for his head at all? It is against the rules, but it wouldn’t shock me to see someone try. After watching the first video showing Kane, I believe i am guessing that the WWE has decided to turn “The Big Red Machine” back into the monster that made him so feared once upon a time. 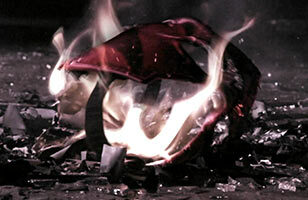 The end of the video showed his once infamous mask being burned, perhaps teasing that he will indeed be wearing the mask when he returns. Kane probably has 1-2 good years left in him, so it is good to see that he may indeed be getting a character over-hall. The 2nd video leaves a lot to the imagination. It was around this time last year that the WWE started playing teaser videos showing a dark figure entering a cabin, which the online wrestling community immediately thought was Sting. In fact, it ended up being the return of the Undertaker, and that is where my prediction will lie with this video. I assume more teasers will show up over the coming weeks to give more clues, but as of right now, I put my money on the return of the Deadman. This entry was posted in Walder Recap. Bookmark the permalink.